There are many posts I have wanted to write, but I put them off because there is always something else I am supposed to be doing. I am currently skipping over an important post I have been planning for a month, namely, the election and the euphoria of Buhari’s win (when people stood in line all day and all night to vote and partied on Twitter) and a series of photos I took in Lagos during the second election for House of Assembly members and governors. Hopefully I will get to that. Today, though, I am missing Kannywood. Where I live now, in western Nigeria, I have made friends with a young Hausa girl in Junior Secondary 2. She comes to my house to visit me, and we talk in Hausa, she braids my hair and asks to see photos of Kannywood. I scroll through old albums. She wants to see photos of Adam A. Zango and Sadiq Sani Sadiq, who she calls “mijina.” I have so many folders ordered by month and day that I cannot quite remember where everything is, so I swoop in at random and pull things up, and usually it is something she wants to see. I think maybe on this blog, I should start posting random photos every week, if I don’t have anything else to write about. So, here, today, I will post a few photos of the years I was in Kano and involved in Kannywood– it was equal parts glamor and exhaustion, occasionally terrifying for a shy me, at over-long bikis, on film sets, and industry meetings, workshops, and award ceremonies. But more than anything, it was community. I felt like I had been adopted into a family, and I spent much of my time in Kano in studios and offices, hanging out, listening to gossip and political debates and jokes. I miss that. And those days in Kaduna, Zaria, Jos, on sets, smooshed five to a backseat in cars on the way to the next location, five ladies to a bed in hotels while one actress watches the Zombie Apocolypse on DSTV until 2am and another has long midnight calls, the times you sit around watching people saying their lines over and over again, the banter and the long conversations that happen behind the scenes, while waiting for the last scene to wrap. Where I am now, people continuously shout “oyinbo” at me. It is nothing new. I grew up in Nigeria and I know that it is rarely malicious, often affectionate. But is alienating nevertheless. It reminds me that I am foreign, that I do not belong. In Kano, there was a familiarity, in my own small community that spilled over to the larger public once people began to recognize my face. I was not just a “baturiya.” I was “their” baturiya–a Baturiya Bahaushiya–a baturiya at home. Most of all I miss that. The ability to, if not to quite fit in, to belong, to be in a place where I was not just an alien but a “member” of a community who can straddle two worlds. The last time I was in Kano was briefly in 2013. It was not the same as I remembered it. Homes left behind never are. Lives move on. Friends marry, move studios, leave film for other work. But from 2008 to 2011, this place was my community. These people, my home. In the past couple of days, I have gotten phone calls from my Golden Goose crew, the studio I spent much of my time in the first few years in Kano. I thank these my friends for remembering me. Much love to them all. Kannywood actress Fati Tage and me at the wedding of Binta Mohammed and Tahir I. Tahir in March 2009, Kano. Dan Auta and me joking around on set of Likita, Zaria, May 2010. 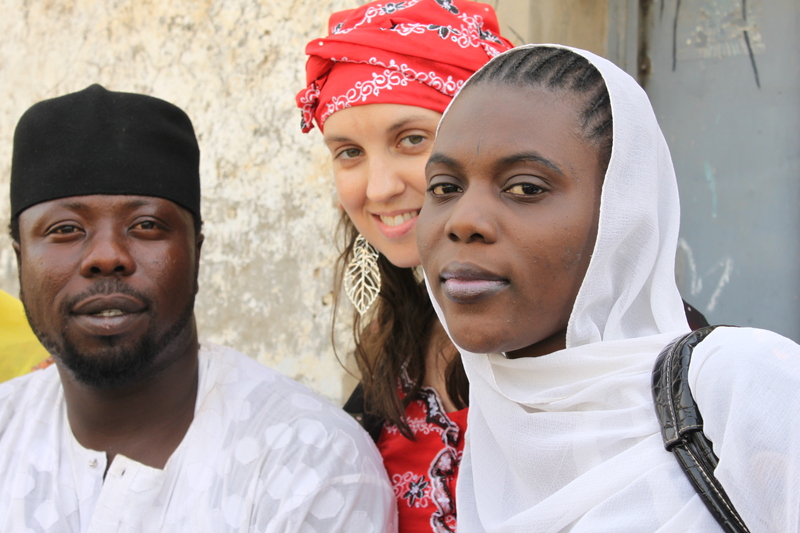 On set of Jidda, Kaduna, January 2010. Golden Goose buddies at the wedding of editor, Sulaiman Abubakar MPEG, March 2010. With Kannywood peeps, BOB-TV, Abuja, 2009. Kannywood peeps hanging out in the Sheraton parking lot, at BOB-TV, Abuja, March 2010. On set of Ibro Ya Auri Baturiya, Kano/Jigawa, 2009. 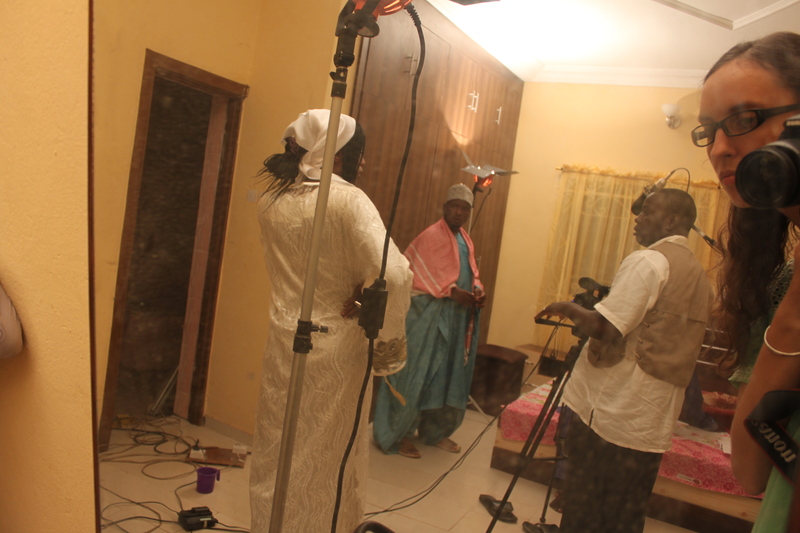 On set, Mutallab, directed by Aminu Saira, written and produced by Nasir Gwangwazo, Kaduna, August 2010. Ali Nuhu and me on set Mutallab, August 2010. 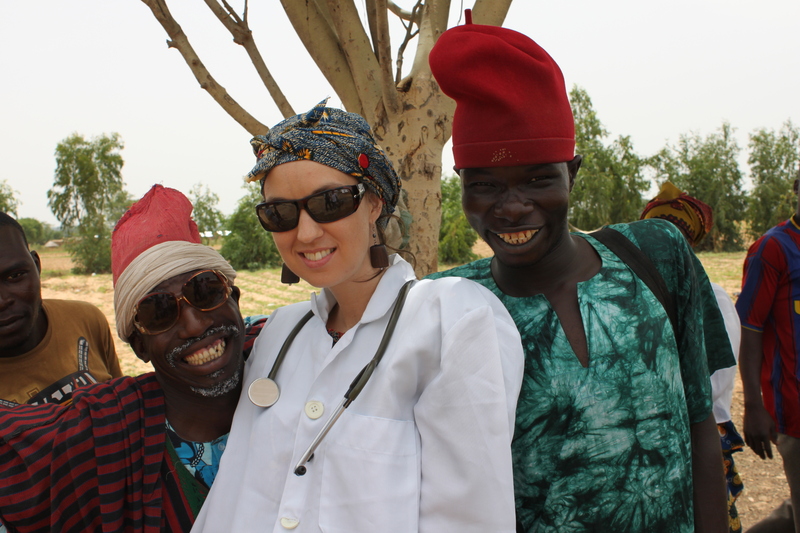 The last day of the Mutallab shoot, Kaduna, August 2010. 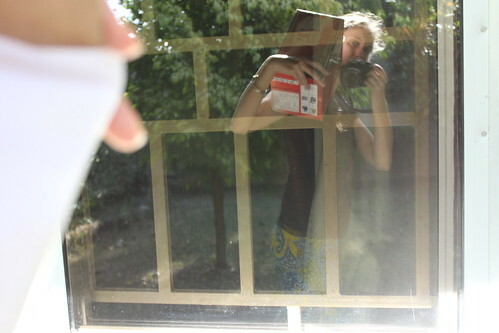 Mirror selfie on set Janni-Janni, Kaduna, August 2010. On set of an AGM Bashir film, Kano, 2010. 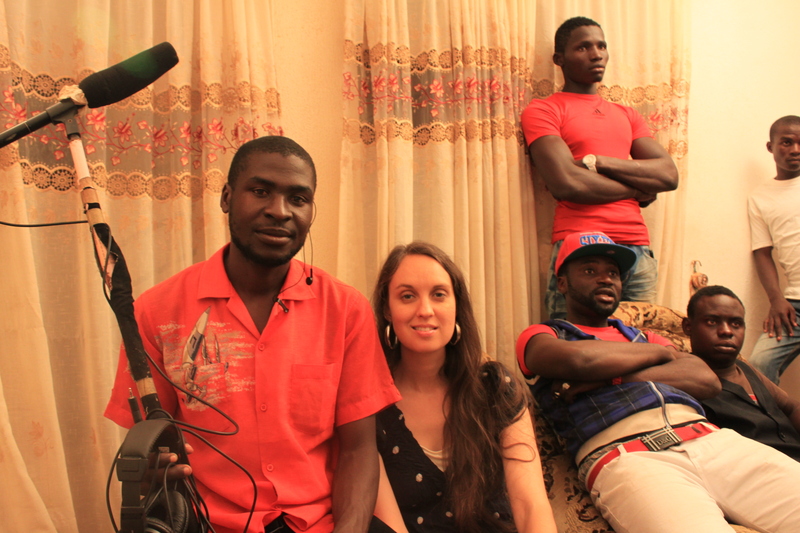 On set of Abbas Sadiq film, Jos, 2012. Guess what this image is. I arrived in America just in time to enjoy the coldest winter in almost half a century in some places (Reuters says Atlanta is having the coldest weather it has had for 44 years). Even in Florida, one of America’s sunniest southernmost states, as I left my sister’s house yesterday, her poor hibiscus bushes looked shriveled and sad, flowers translucent with cold, which at some points of the night got down to the teens Fahrenheit (around -7 Celsius). Still in Florida, we passed a fountain that had frozen over while the water was running, looking like something out of the The Lion, the Witch, and the Wardrobe film, rather than Florida. 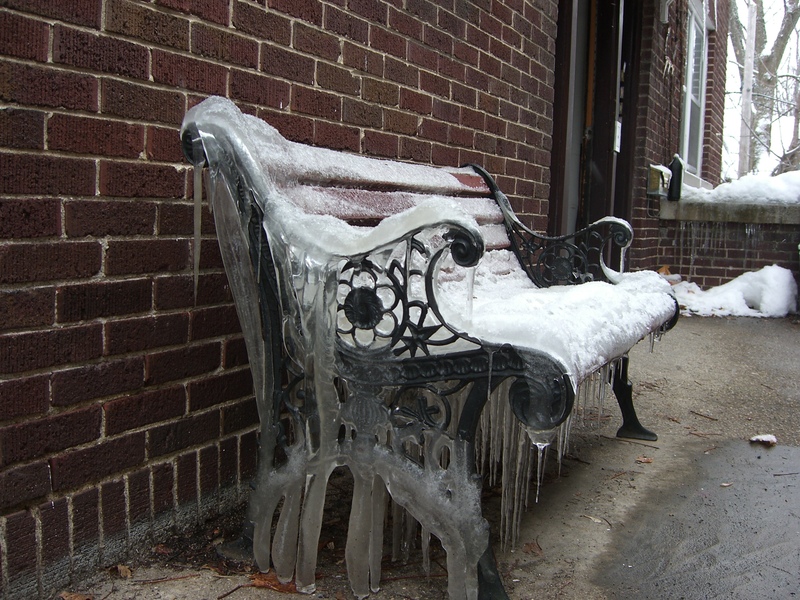 Arriving in the Atlanta area where my grandmother lives , we were welcomed with the news that the pipes were frozen. 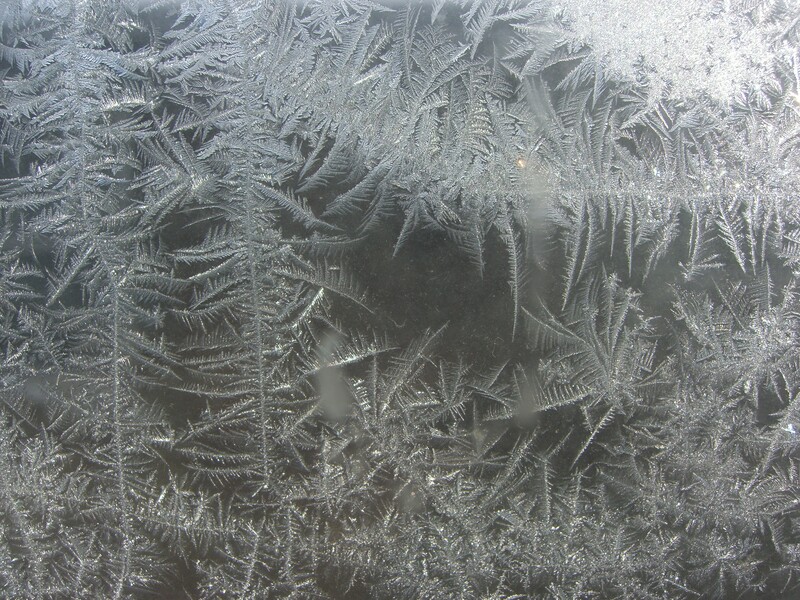 Fortunately, there was still a trickle of water coming out in the kitchen sink and the front bathroom, but the hot water heaters were not working, and the back bathroom was completely frozen up. We put our bucket bath skills to work, my dad and I going outside to draw water in a small bucket from a creek that runs close by and heating water for dishes on the stove. However, we realized how helpless most of us living in America when faced with power or water outages as compared to Nigerians. First, we just aren’t used to such things and don’t have battery back-up systems or generators for power, or even proper-sized buckets or cisterns for collecting and storing water. Moral of the story being, great infrastructure is great, but it does sometimes leave people a little too comfortable, unable to cope in emergencies. Second, the weather is just so much harsher–North America is not a terribly friendly continent to live on without having a solid house and heat–, so that when such shortages happen, people suffer more in the short term, although the expectation is generally that things will soon be better. I imagine futuristic scenarios where America’s economy continues to spiral downwards into another Great Depression, combined with climate change, and people are left without electricity and water again for long periods of time. In such a scenario, poor people in Africa are much better off than poor people in northern countries, as this exciting new Kenyan science fiction series, Usoni, imagines. (Africa is the only place in the world where the sun still shines, prompting reverse immigration southward). And speaking of science fiction, check out these photos from Chicago! Fortunately, the power stayed on in my grandmother’s house, though she said she had heard on the radio that it went off in some parts of Atlanta and there have been outages across the continent. According to The Independent, a power outage in Newfoundland Canada “left 90,000 homes without electricity” on Sunday. 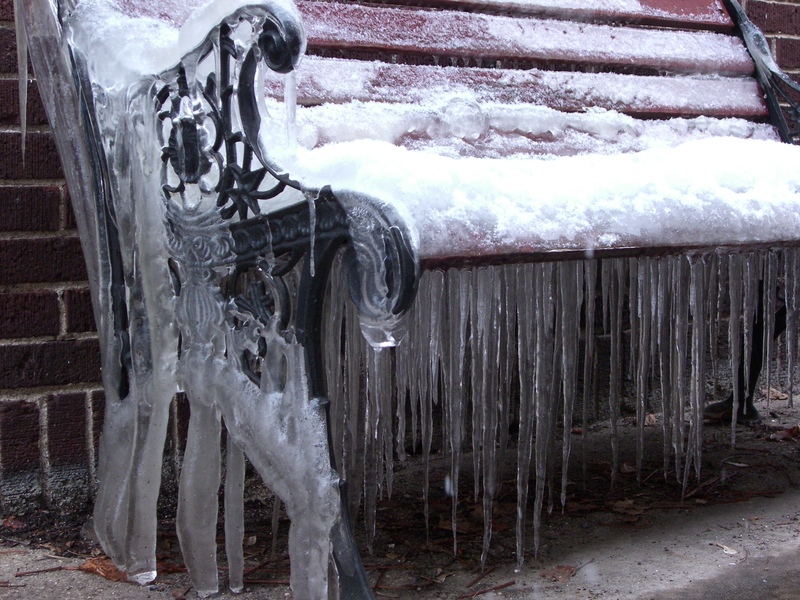 Imagine being without electricity or heat in temperatures of 20 below… And people have died, especially the homeless. 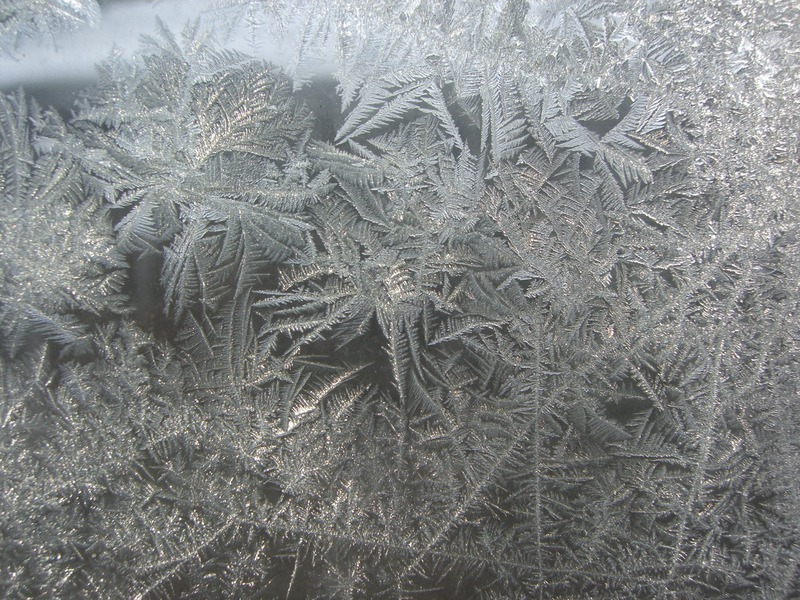 CBC reports that at least 21 people have reportedly died during this freeze. 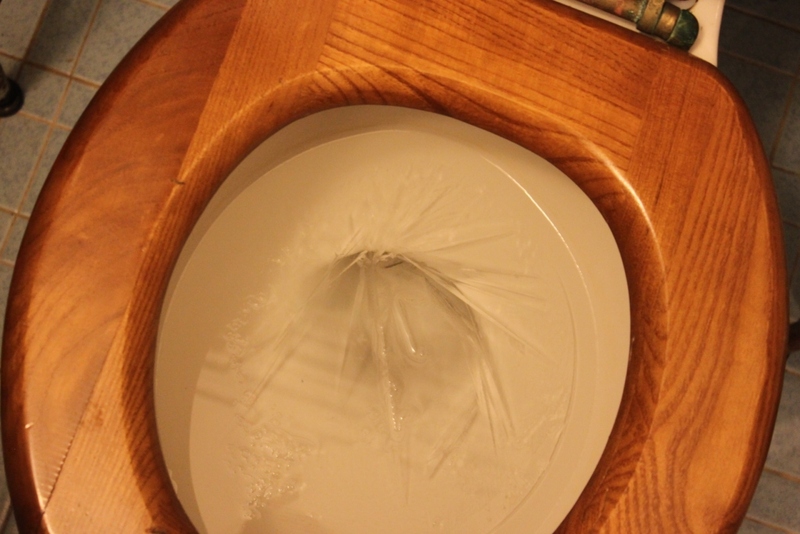 The most dramatic thing that happened in my grandmother’s house was the toilet freezing and a little flood when the pipes warmed up this afternoon. But fortunately my uncle is a brilliant plumber, so the problem has been solved for now. 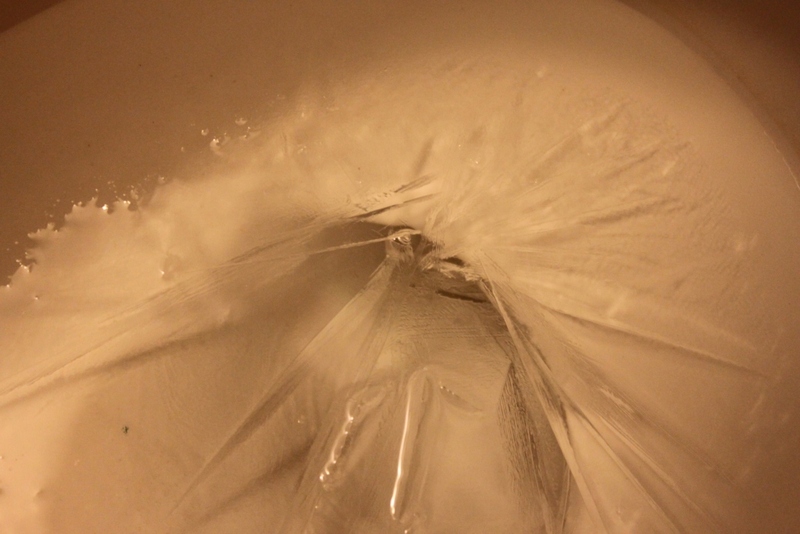 When I posted the status update “ice in the toilet” earlier on Facebook, my friend Richard Ali thought I was making some sort of existential statement about America. 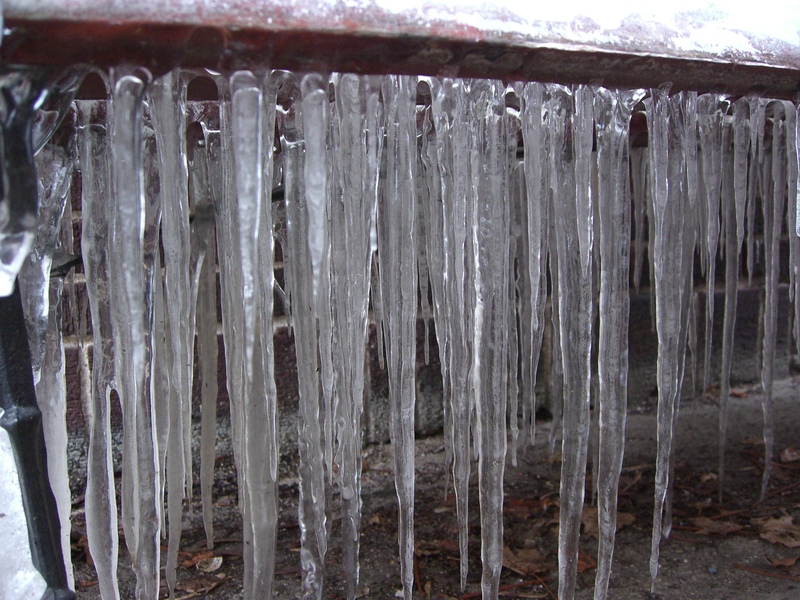 While it does make make a startlingly original poetic metaphor, this time the ice was literal. As Richard put it a “double entendre” from Nature. In the meantime, I am hoping that the temperatures warm up before I head to Madison, WI, next week. Please help me pray…. A lot has changed in my life since my last post, over a month ago. When I posted, I had just had a great writing day. I was about to submit a chapter. I was “raring to go” on the next chapter. I could see in my mind, the rest of the dissertation unfolding, almost effortlessly. I felt like it was almost already written. It was a blessing, that day of writing. I have spent a few weeks with my sister in Florida, trying to continue writing in her quiet, peaceful house. It has been surprisingly cold here in one of America’s southern-most states, but nothing to complain about these days. 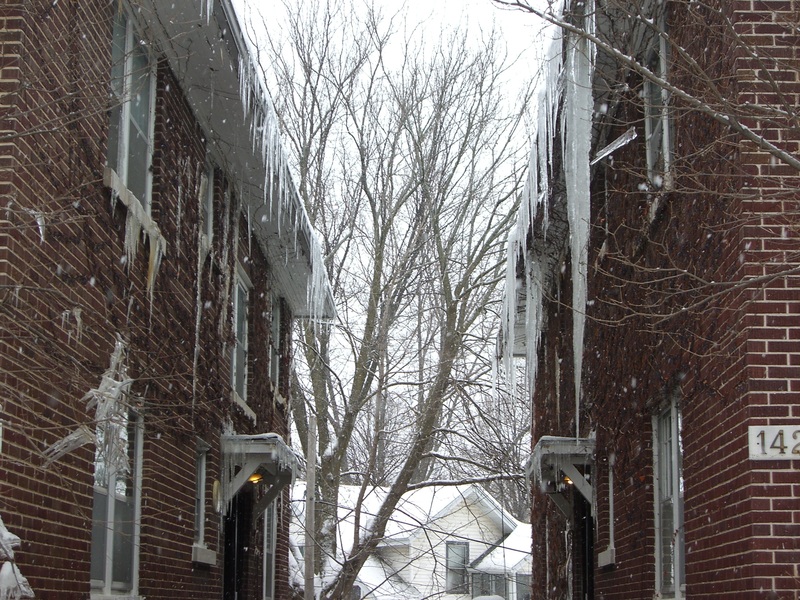 I am nearly in tears every time I hear dramatic sub-zero weather forecasts further north and face thoughts of returning to scenes like this (Photos I took in Madison, WI in the winter of 2007). 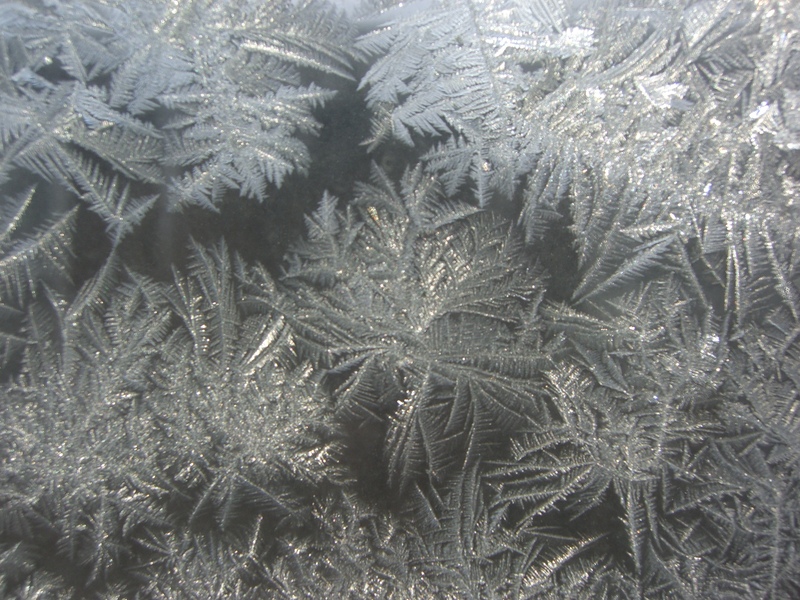 Yes, I posted too many frost pictures. Let me know which one you like the best. I think of the homeless at times like this. And I hope that churches and mosques and synagogues and other community centres are opening their arms. I read from Facebook friends in Madison that the Salvation Army and public libraries are opening, and that some organizations are paying for hotel rooms. I wonder how homelessness can be possible, how the homeless survive winter after winter in these deadly days in this part of the planet that is habitable only by those who can afford four walls and heat? The Louvre Museum has 8.5 million visitors per year. This blog was viewed about 190,000 times in 2013. If it were an exhibit at the Louvre Museum, it would take about 8 days for that many people to see it. So today there was a partial eclipse. 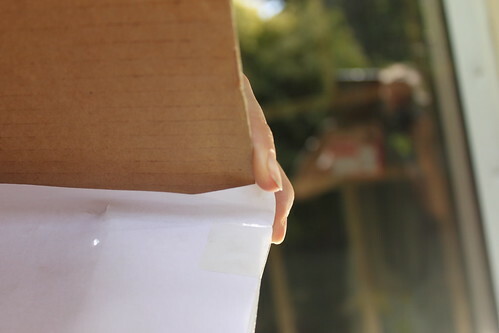 I hadn’t heard about it until I went to lunch with a friend, and in her car, she had armed herself with a box with a piece of white paper pasted on one side and a hole cut in the other, over which she had taped aluminum foil and pricked with a pin. This was her eclipse viewing device, she told me. 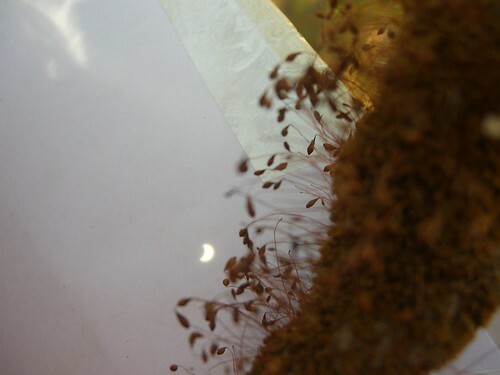 I had heard about people making these things to view eclipses before. I wasn’t sure I wanted to go to the trouble. But around 2pm, as I sat on my couch reading the Sunday Trust, I looked outside and noticed that the light was long and harsh and strange, so I called her and asked if she was watching the eclipse through her box. Was it happening now? She told me I still had time, as the peak of the eclipse was supposed to happen at 2:40pm, so I went and found an old regulator box and made the same device. It was not that dramatic as I was expecting. I had thought I might see some sort of photographic image coming through the pin–hole onto the white paper. Yes, people, there is a reason I’m not in the sciences. Instead, it was just a new moon shaped sliver of light, which showed the shape of the moon as it passed in front of the sun. I was too afraid to look up at the sun itself. Next time I’ll have to prepare myself ahead of time with properly treated goggles. I showed the neighbours, and wandered about looking at it from different angles. I had some poetic thoughts about it all, but in between going back inside to keep working on my current chapter and staying up too late before deciding to post, the eclipse poetry will have to wait for the next eclipse. 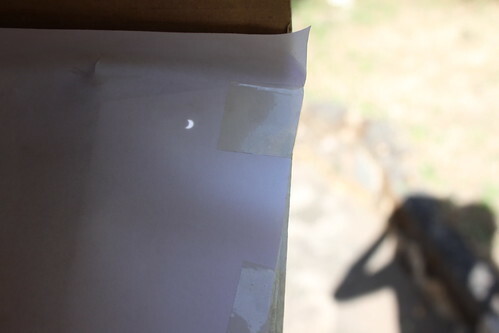 In the meantime, here are a few of the photos I took of the sliver of light in my box. Note: there is nothing fancy or dramatic about these photos. I did not risk pointing my camera lens or my eyes towards the light. 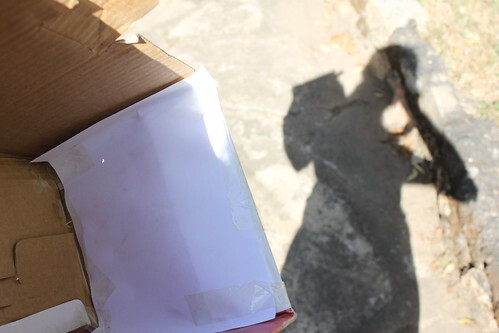 It’s just a recording of my delightful, dorky afternoon wandering around with a box with a hole taped over with tin foil and paper. 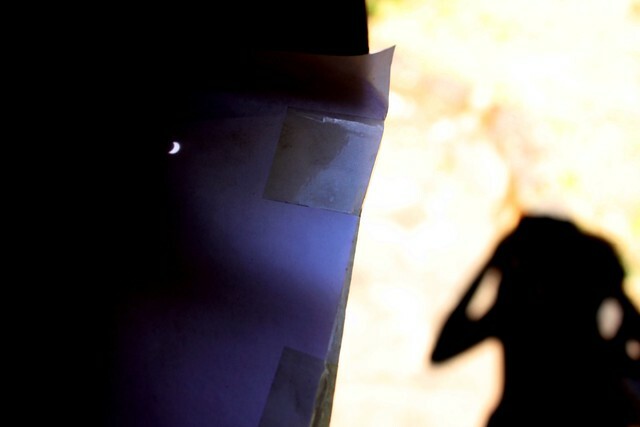 Look for the sun, look for the moon, they are there in the light, in the shadow, in the cardboard box. the sun, the moon, the box, and me. My first memory of Nigeria is grey, fluorescent-light tinted. Three soldiers waiting for us at the end of a corridor. The air was thick with the damp sweaty smell of the Lagos airport in September. My thin blue passport opened to show me in a school photo wearing a red bibbed dress, an awkward preadolescent smile, a brown braid to one side. Tall for my age, I walked behind my father with my younger brother and sister. Children accompanying parents. It was the night of 8 September 1988. The soldiers, who had been sent by the university to smooth our passage, escorted us past immigration to the luggage carousal where large cardboard boxes and hard suitcases circled in and out. Masses of people crowded around. We stood to one side with our mother, while our father struggled by the revolving belt, pointing out our bags to a man with a cart. Nigeria was the third country I had ever been to in my life. The second was England where we had just spent three days after leaving the United States. In London, we had visited our Aunty Lily, whose sister, my great grandmother had come to America as a World War 1 bride back in 1919. Aunty Lily served us cucumber sandwiches and tea and a cake covered in thick cream and almonds that we children wouldn’t eat. Her toilet had a tank as high as the ceiling and a chain you pulled down to flush. We nearly got killed in front of Buckingham palace when my dad looked the wrong way crossing the street. The policeman on the horse who stopped traffic for us told us, “In America you drive on the right side of the road, in Britain we drive on the proper side.” We also walked over the London Bridge. I figured that the original London Bridge had fallen down like in the nursery rhyme, because it was nothing special, just cement and metal rails. The tower bridge downriver was more like what I thought a bridge in London should be. The hotel is the first vivid colourful image I have of Nigeria. The beds had nobbly turquoise bedspreads, and the black toilet seat was detached from the toilet and resting on the tiles behind the bathtub. Our dad had waited behind at the airport with the university liaison driver to bring our luggage and he writes in his journal that, “When I walked in the room, the children were laughing and playing and jumping on the bed.” I’m pretty sure that if we had jumped on the beds at any other time, we would have gotten scolded, but this time, my dad writes, “When I saw that I almost cried because this was the most relaxed and happy I had seen the children since we had left Atlanta and maybe even before then […] There are few burdens heavier to carry than to have your children unhappy.” It must have been 11:30pm when the food was brought to our room, big platters of rice and stew and plantain, which we sat on the bed and ate, our first meal in Nigeria. The next thing I remember is the university guest house in Port Harcourt where we stayed while we waited for our house to be prepared. It had cool terrazzo floors, an airy dining room where, for breakfast, we ate cornflakes with hot milk, a staircase with open tiles that let in the breeze. On the light-dappled stairs you could have a conversation with a person standing outside, like I did with a girl who came up to the tiles and asked if I would be her friend. 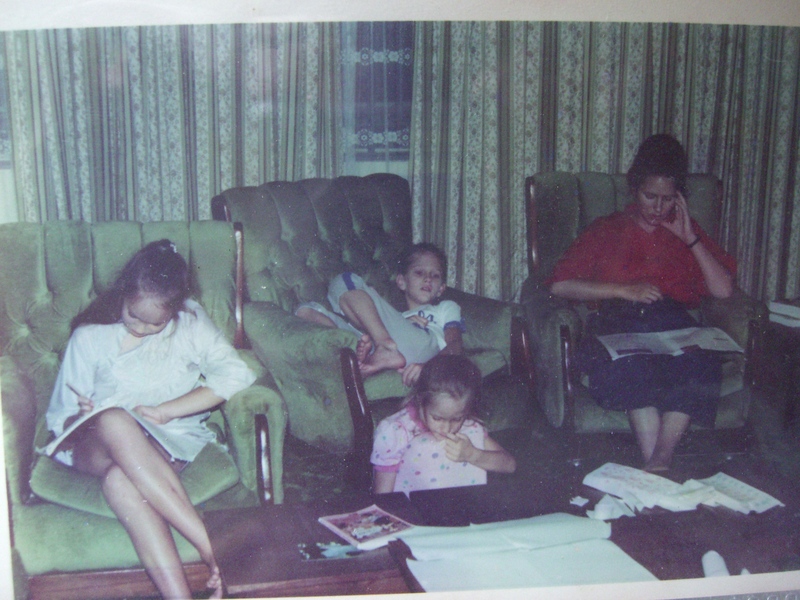 In the upstairs parlour, there were velvety green chairs and a huge throne we would sit on when nobody was looking. They said it was for the Chancellor. A few weeks later we settled into our green bungalow lined with red flower bushes. In the yard was a pink blossom filled frangipani tree that I nearly fell out of once when a lizard jumped on my head. There was also a tall palm tree which would bend in the monsoon winds, its fronds flying, and a tall pine tree from which we cut branches to make a Christmas tree that first December. 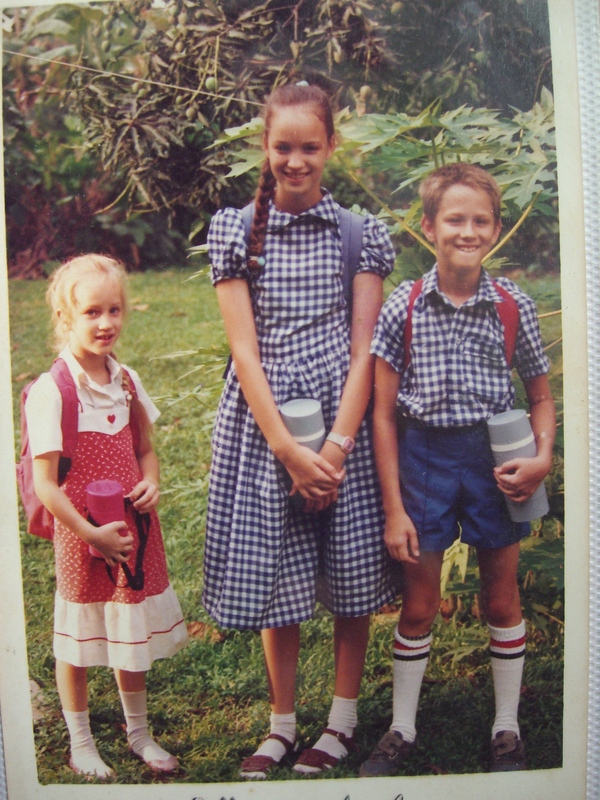 Our mother had uniforms made for us out of stiff blue and white checked material and sent us off to the elementary staff school on campus. We walked to school by cutting through our neighbours’ yard, through the maze of red hibiscus bushes, until we arrived at the low flat buildings where we first learned the lessons Nigerian children learn. I remember copying long passages of social studies and CRK from the board into my exercise books. I was once called to the dispensary where my brother was having a scrape painted over with purple iodine. “Stop talking your language in front of me. It is rude,” said the nurse. “But we are speaking English,” we told her. She did not believe us. My brother quickly learned pidgin, and when he was playing outside, you couldn’t tell the difference between his voice and that of his friends. I was shyer and more aloof, not sure what to do with the notes I got in class that accused me of being proud for being closer with my classmate Gloria than with the note-writer. Not sure what to do when the rambunctious boys in the class jumped out of the windows when the teacher went to the bank, or when a teacher slapped my knuckles with a ruler when I got a math problem wrong or gave me a “C” on a creative writing assignment, so that I would “try harder.” I read a lot and wrote about it in the diary with a lock I had brought from the U.S. “Write down your first impressions,” my father told me. “You’ll never have them again.” At home, I would continue reading through the books we had brought. When I finished the children’s books, I moved on to my mother’s college literature anthologies and volumes of Shakespeare. My parents allowed me to home school the next year, when they moved my brother and sister to an international school that only went up to 5th grade. When I wasn’t reading, I would visit my neighbours’ house. The two daughters were our closest friends. I liked to pause along their driveway to peel back the fleshy green-thorned stems of their agave plants until the tender innermost yellow spine was revealed. We would go on long bike rides around campus, riding over to my dad’s office to climb onto the roofs of the open air walkways, which were like sidewalks in the sky. Sometimes we would sneak off campus past the hole in the wall where people gathered at the tap to fill their buckets with water. There was a giant mound of white sand by the river that ran behind the university. They said it was for construction, but we would take our shoes off and dig our toes into the sand, eating picnic lunches as we watched the canoes skim across the river to the village on the other side. Over lunch last Sunday, my dad asked me, “Do you know what happened 25 years ago on this day?” “What?” I asked. “This was the day we first arrived in Nigeria,” he said. It is a week that jostles with the anniversaries of other more recent memories. September 7, the day the Jos crisis began, September 11, the day I watched silver towers in New York fall like London Bridges. But this year, I have spent less time remembering those traumatic events and more time remembering a happier occasion. September 8, the day we came to a country that has become our home. 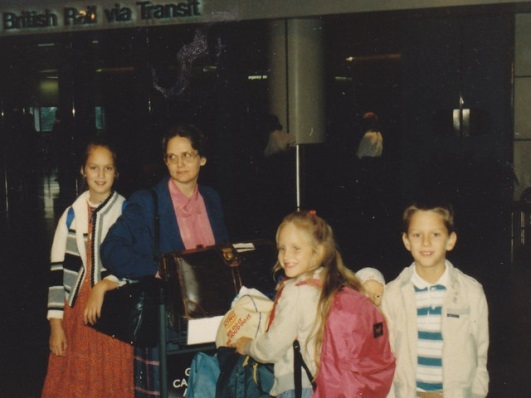 The McCain family in Gatwick airport 8 September 1988 on the way to Lagos. 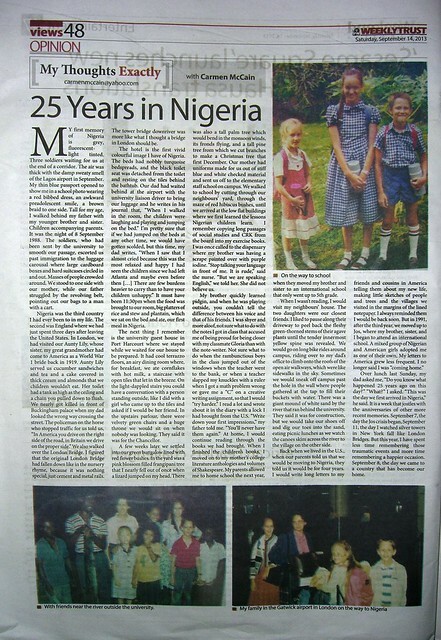 My dad reminded me this afternoon that today marks the 25th anniversary of the day our family moved to Nigeria. My parents have lived here ever since, first in Port Harcourt for three years from 1988-1991, and then Jos up until today. We kids “grew up” here and have been back and forth ever since. My brother and I both currently live in Nigeria, while my sister lives in the U.S. where she is doing her residency as a doctor. I kept a diary at the time, but it is in storage somewhere now, so I’m relying on memories and my dad’s journal. I may write a little more on this later [UPDATE 14 September 2013, see my column about this topic here], but for now, I will just post a few photos of our move. 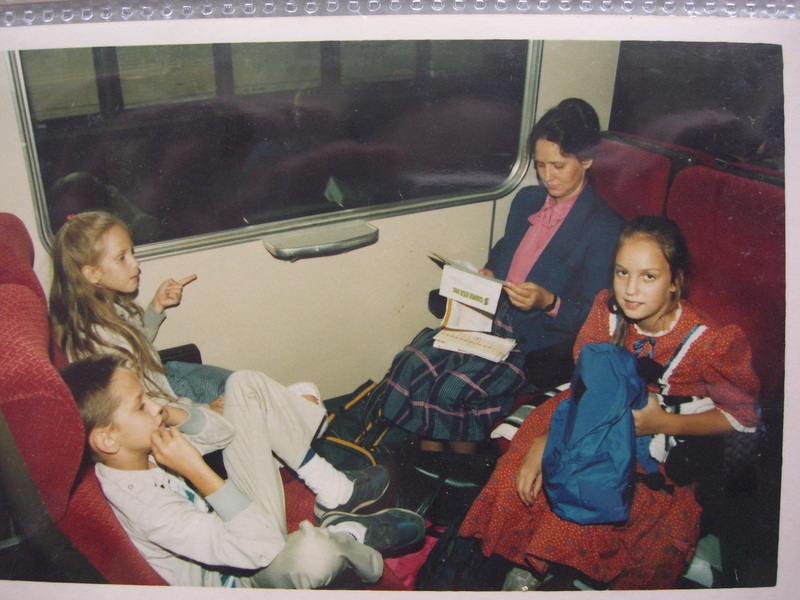 We had left the U.S. from Atlanta a few days earlier (the first time out of the U.S. for my brother, sister, and I). 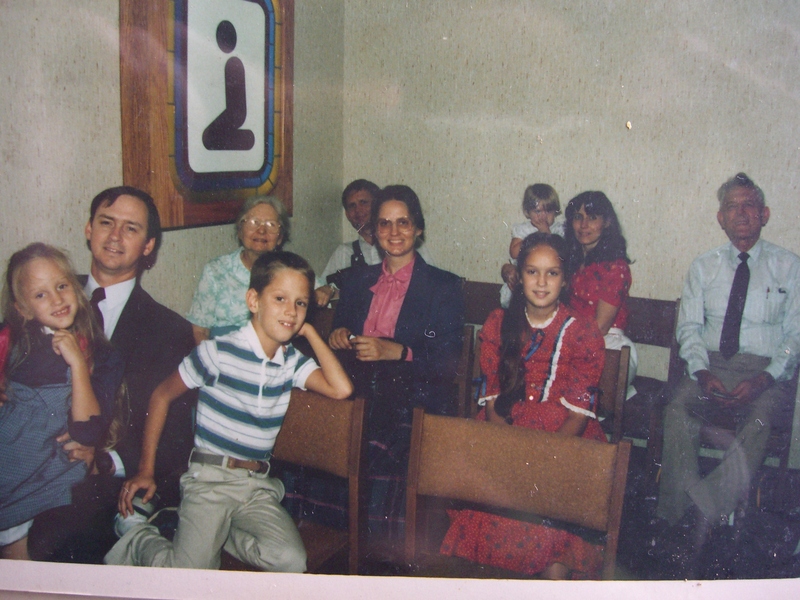 Our grandparents and our Uncle John, Aunt Miriam, and our little cousin Karen came to see us off at the Atlanta airport. Here we are in airport’s chapel. We spent three days in London being tourists. On the train from Gatwick into London. 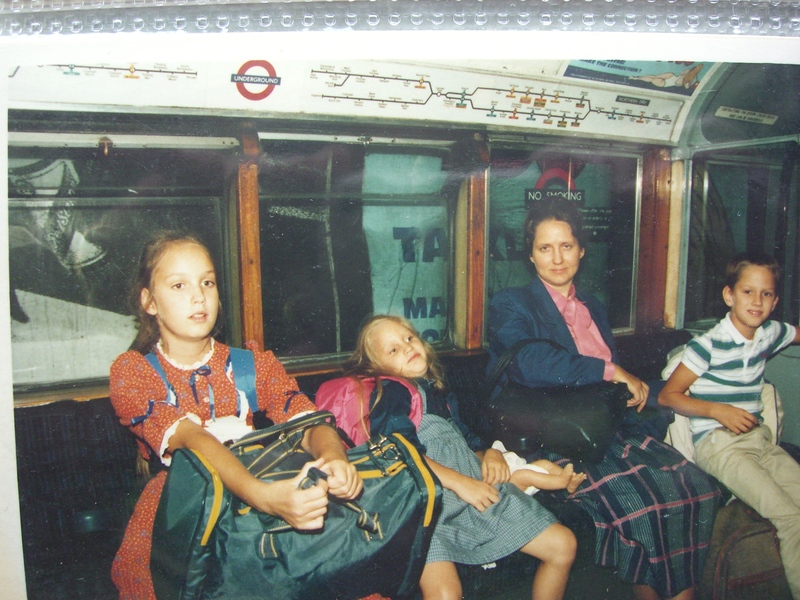 By the time we made it to the Tube, we must have been pretty jetlagged. While we were in London, we visited our Aunty Lily. 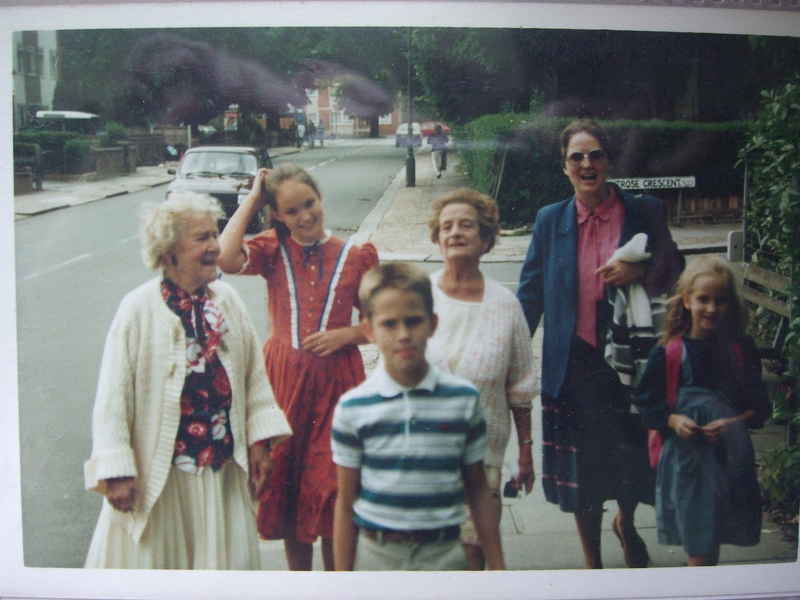 My great grandmother had been a World War I bride from England who married my great grandfather–an American soldier– and moved with him to Florida, so we visited her younger sister on our way through London. She served us a very proper British tea, including cucumber sandwiches, and a very rich almond cake, which I’m sure now I would love, but which at the time I thought was disgusting. I remember that her house had a toilet with a very high tank that you flushed with a chain. We walked from her house to the guest house where we were staying, but it took a lot longer than we thought it would. I ended up carrying my sister on my back, while my dad carried my brother. My dad says that I took the whole thing as an adventure. The next day, we went to Madame Tussaud’s wax museum, Buckingham Palace, and walked over the quite ordinary London Bridge, which nevertheless has a great view of the more dramatic Tower Bridge. The next morning we left out of Gatwick to travel to Lagos. We landed in Murtala Muhammad Airport in Lagos on the evening of 8 September 1988. My memories are vague, but I remember the scent of Lagos airport, a moist stale smell from rains and probably old carpet, and I remember we were met by soldiers at immigration (sent by the university liason office–this was during the Babangida regime), waiting for our luggage to come under the grey flourescent lights. The hotel we stayed in had blue bedspreads, buckets in the bathroom, and a toilet to which the seat was not attached. Our food arrived around 11:30pm, rice and stew and plantains. My dad tells of how relieved he was when he arrived later from the airport with all of our luggage and found us jumping on the beds. While normally we probably would have been scolded for that, it demonstrated that we weren’t too traumatized by the move. We flew to Port Harcourt the next day, 9 September 1988, where we were hosted at a university guest house for a few weeks before we moved into our bungalow on campus. Our family in the university guest house, together with a Fulbright family. In the guest house, I am busy writing in my diary my first impressions of Nigeria. The diary is somewhere in storage now. The university accommodated us in a three bedroom bungalow, which became our home for the next three years until we moved to Jos in 1991. Together with some of our closest friends in Port Harcourt, the Nwators, in front of our house. 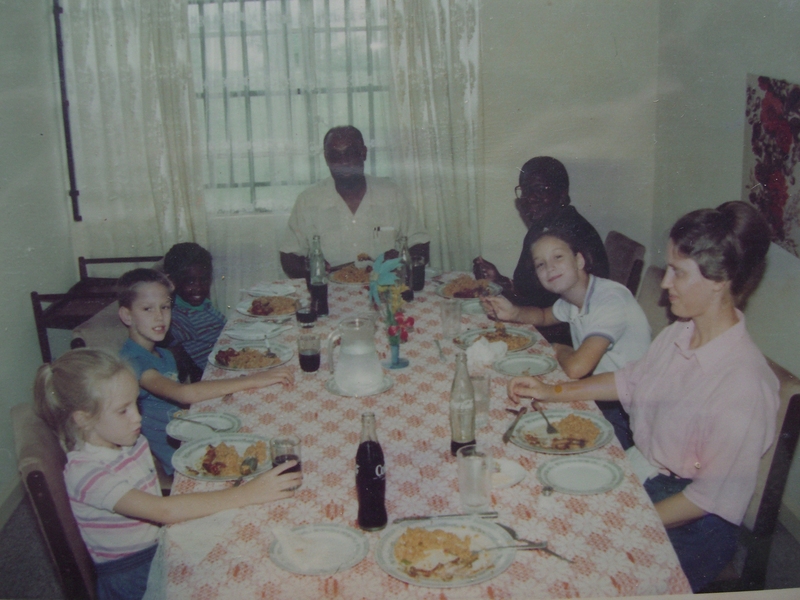 After moving into our house, a few weeks after arriving in Port Harcourt, we began school at the university staff school. In 1991, we moved to Jos, and I won’t go through all those photos, but here is one. 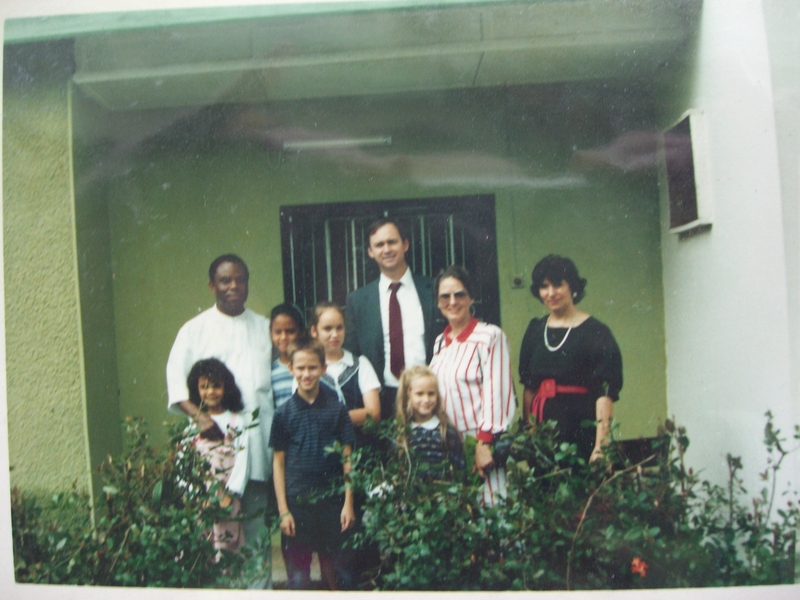 Family photo in Jos in the 1990s, around 1993 or 94. 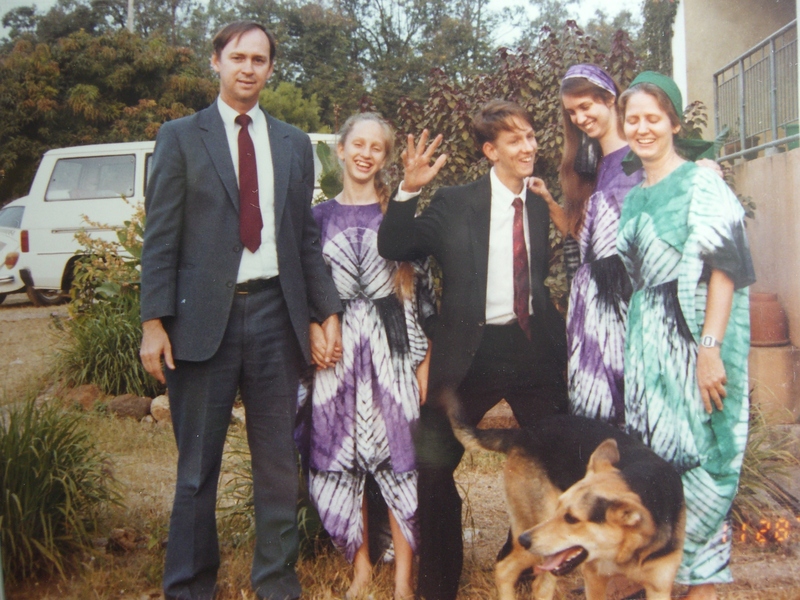 So, now twenty-five years after we first moved to Nigeria, four of us still live in Nigeria. 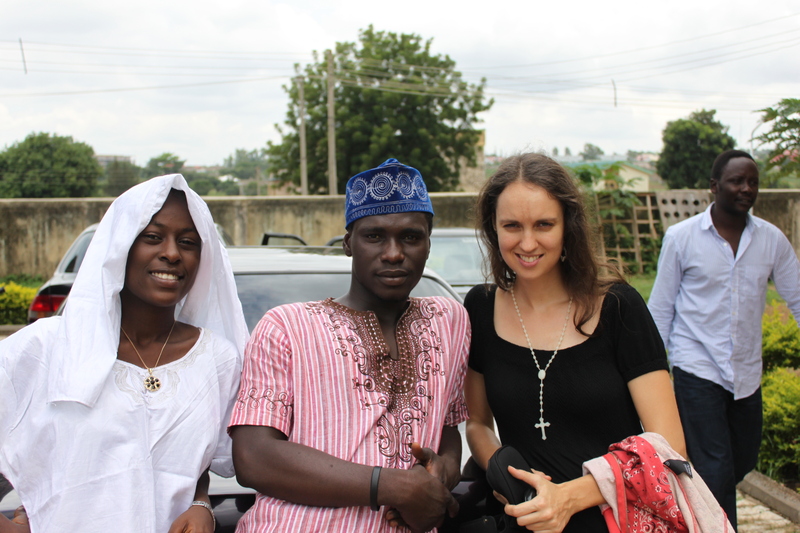 My sister was able to come visit for Christmas last year, and this is the most recent photo of us all together in Nigeria outside our house in Jos. 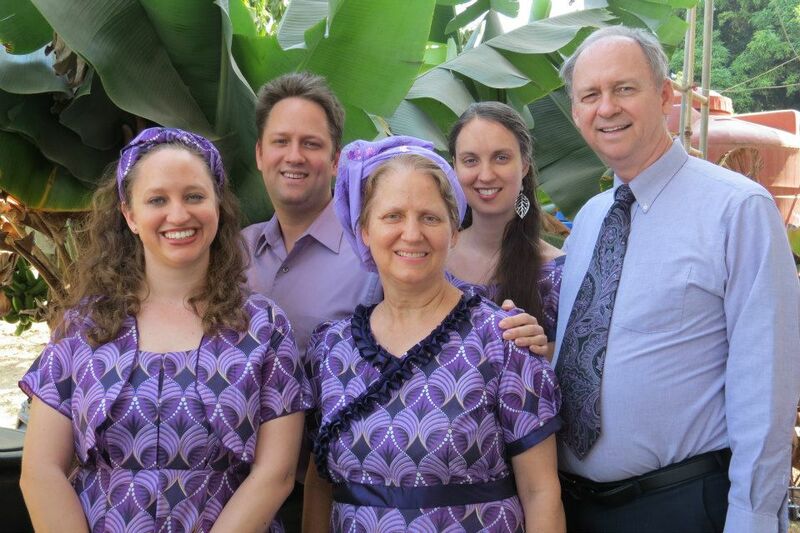 Family photo Christmas 2012, Jos, somehow wearing purple again. I will try to write something more “literary” about this in the future. But, in the meantime, I am reflecting on how what was supposed to be a 4 year stint turned into 25 years. Nigeria has become home. 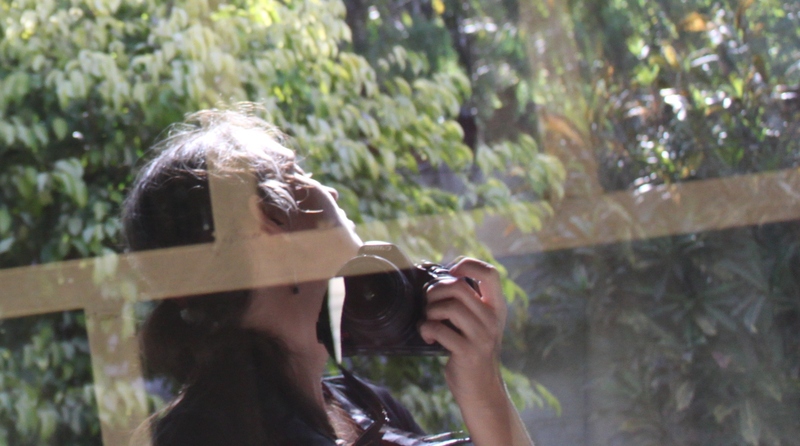 UPDATE: 14 September 2013. In my column this week in Weekly Trust, I wrote another piece with more details.